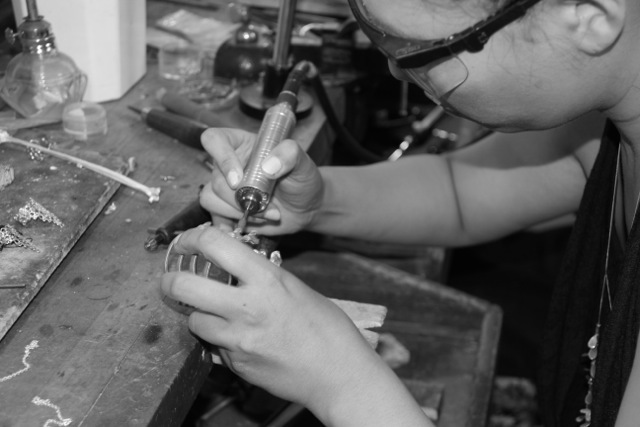 Jewelry designer Ayaka Nishi has been in New York's East Village for three years and in the United States for eight since moving from Japan. With an affinity to spiders, insects and fish scales that take many forms, you'll find a focused trove of nature-inspired wearable treasures in her studio. With a four person team and interns that help her create and refine the collection, she's running a inspiring operation. 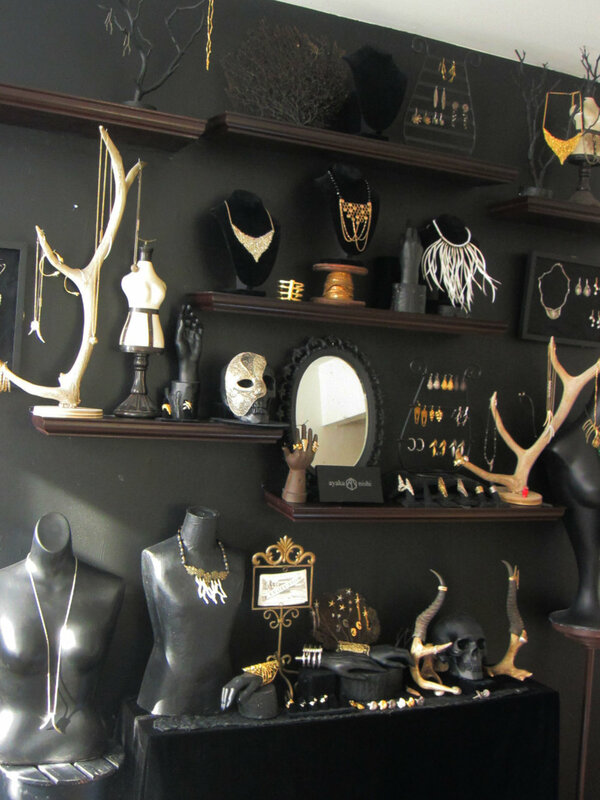 Her studio is also home to her jewelry school where she hosts weekly classes. Here, she teaches new designers and those that just want to experiment to create one of-a-kind pieces while showing them professional production techniques.For Ayaka, the best part of having her own label is being able to focus on custom orders like wedding rings and other special projects. Her excitement comes from working on new designs, seeing the outcome, and of course, meeting new people.On the flip side, the hardest part of running the business is trying to do sales since she refers to herself as shy, but after doing a couple of pop-up shops and markets, she's becoming stronger and is overcoming her fear. What's she learned and her advice she gives to emerging designers is that it's important to make connections with customers and know that feedback is extremely helpful. By talking to customers and listing to their comments, she's started to understand why someone may not make a purchase which has allowed her to come up with design solutions to address the feedback, which in turn, has made her retailers happy and helped to increased sales. Learn more at Ayaka Nishi.